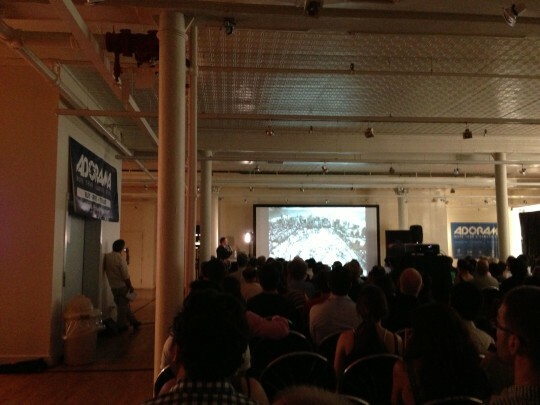 Earlier this month, I attended a talk at Adorama in NYC that provided great context to Vincent Laforet‘s career. As a photographer who saw the writing on the wall, Vincent transitioned his career from still photography into motion picture. Vincent’s presentation was statistics heavy and illustrated the amount of content (image and video) that gets produced every day. The future holds even more consumer made content that reduces the role of big media as tastemakers. Also, viewer attention span keeps going down over time. When Reverie came out in 2008, I assumed that Canon reached out to him to produce it. The reality is that Vincent was at Canon and happened to come across the 5d mk2 prototype. Vincent was rejected several times, but Canon eventually let him borrow it. And history was made. Vincent said that he takes most (95%) of his photos on his iPhone. As someone who shot for the NYTimes and is a Canon Explorer of Light, I’m surprised he doesn’t use his DSLRs more often. It makes sense since convenience is king, and we always have our phones. Another point that was brought up during the talk was Constant Photography. Instead of taking THE photo at THE right moment, you could just take a film of ALL the moments and cherry pick the photo that you want. Why would you need a photographer when you have a videographer that does both? What I got out of Vincent’s talk was that passion and being open to change are important. Vincent could have kept working as a photographer, but changing to a Director/DP was a risky move that paid off in the long run. As a new DP, he doesn’t know everything, but he is able to hire great people with complimentary skills and get it done. This entry was posted in Photography, Tech and tagged adorama, canon, change, dslr, laforet, nyc, vincent on July 27, 2013 by Rex.